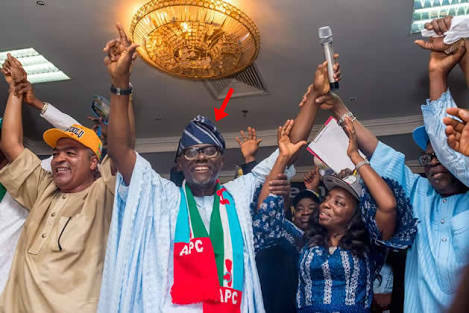 Lagos chapter of the APC says it had always known that Governor Akinwunmi Ambode’s commissioner, Olawale Olowo, who defected to the Peoples Democratic Party on Wednesday, was a mole for the opposition party. "The attention of the All Progressives Congress, Lagos State has been drawn to the letter of resignation of the erstwhile Commissioner for Energy and Mineral Resources, Mr. Olawale Oluwo. The APC wishes him well. The APC salutes the vigilance of the party apparatus and leadership which have put Oluwo on the watch on account of his antecedents in party politics and succeeded in checkmating his rabid opportunism. It is on record that Oluwo first made an attempt to reap from the challenges of internal party democracy in our progressive movement when he teamed up with one of the losers in the 2007 primaries of the Action Congress to stop Babatunde Fashola’s sure victory at the polls. The unfortunate political adventurism failed woefully. However, in the conventional demonstration of mercy and forgiveness, Oluwo’s principal, Sen. Tokunbo Afikuyomi was accommodated in the second term cabinet of Governor Babatunde Fashola as the Commissioner for Tourism. A similar milk of mercy and kindness led to the consideration Of Oluwo as a member of the Lagos State Executive Council under Governor Akinwunmi Ambode in the hope that he has purged himself of opportunism, disloyalty and vaulting desperation for power. Oluwo had hardly resumed as the Commissioner when he began his plot to use that office to advance his quest for political fiefdom. The object of his ambition was the positioning of his wife as the chairman of a local government. However, alert party men and women raised alarm about his anti-party antecedents wondering why someone who recently joined the party would want to use his position as commissioner to impose his wife on the constituency. The party rank and file aborted this abuse of power and reckless peddling of influence and everybody thought the lesson had been learnt. He, apparently, had not. As soon as the procedures for the general elections began, Oluwo once again became the only commissioner to seek his wife as the member of House of Assembly for Eti- Osa. By now the pattern of his ambition had become clear. The intrigue that enabled him to make his wife the first- term commissioner’s wife to become the chairperson of the committee which organised the annual National Women Conference became clear. It was meant to achieve undeserved visibility. This obnoxious attempt to deceive party members was again foiled and it is the aggravated frustration that has led to this defection. It has been necessary to put this in true context so as to dismiss the false and capricious insinuation that his resignation was in principled objection to the party’s last primaries. Far from it. He was only playing true to type, seeking as he had done in 2007 to reap from the primaries. 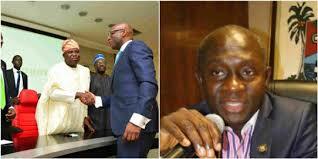 He has further showed that he has been a mole of the PDP and has been working to undermine the APC. His exit is a signal to other like minds who may wish to follow his trail. The party machinery knows everyone and their inclination. We encourage all genuine APC members to remain firm and committed to loftier and greater ideals of taking Lagos to a higher level of excellence.